As an Astrospheric user, you represent a small (but growing!) set of the best and brightest when it comes to getting great astronomy forecasts. The new animated signature feature allows you to show off some Astrospheric flare on your own website or on astronomy forums around the web. Animated signatures are small animated weather images that update dynamically, showing the forecast for your favorite location. 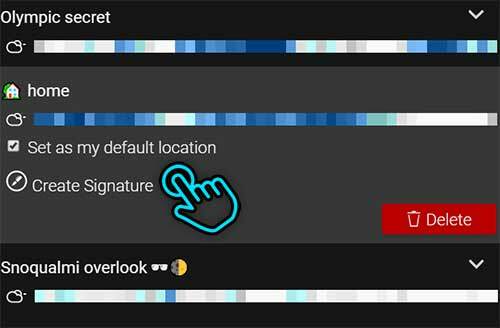 You can access the new Signatures feature by expanding any one of your favorites and tapping "Create Signature". Doing so will produce the code needed to embed the signature on your own website or astronomy forum. There is now help content for Astrospheric. Simply tap the logo at the top of the app for more information, or head over to www.Astrospheric.com on your computer for more info. I'll add more articles as time goes on. As always, thanks for the great feedback. Keep it coming!